Salon Smart Gloveworks Black Nitrile Gloves, Extra Large 100pk Superior Puncture R.. 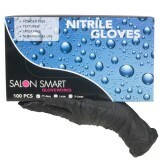 Salon Smart Gloveworks Black Nitrile Gloves, Large 100pk Superior Puncture Resista.. Salon Smart Gloveworks Black Nitrile Gloves, Medium 100pk Superior Puncture Resist.. 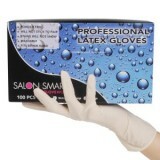 Salon Smart Gloveworks Professional Latex Gloves, Large 100pk The Trusted Name in .. Salon Smart Gloveworks Professional Latex Gloves, Medium 100pk The Trusted Name in.. Salon Smart Gloveworks Professional Latex Gloves, Small 100pk The Trusted Name in .. 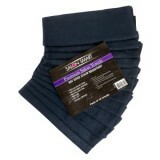 Salon Smart Premium Black Salon Towels, Medium 12pk Costs less…get more! .. 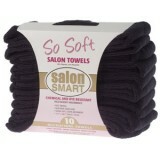 Salon Smart So Soft Microfibre Salon Towels - Black, 10pk Chemical and dye resista.. Salon Smart So Soft Microfibre Salon Towels - Chcolate, 10pk Chemical and dye resi..